Free Shipping in the UK plus your Free £15.00 Fibre Voucher to get you started. 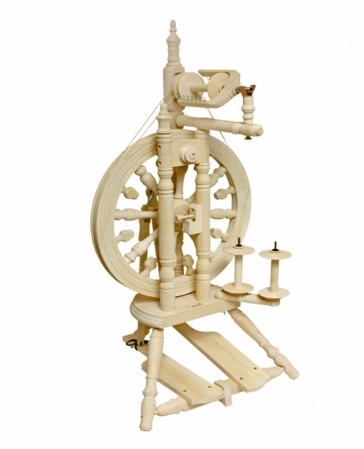 The Minstrel features a stable base for the double treadle and wheel, which is larger than many uprights at 18". 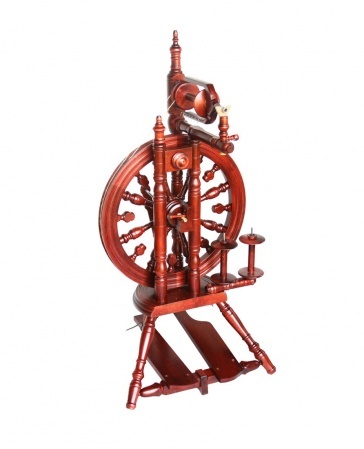 The wheel is easy to mount on the two support posts, with the third post able to mount an optional distaff. The Minstrel is a double drive wheel but comes standard with Scotch tension set-up, if you prefer the single drive feel. 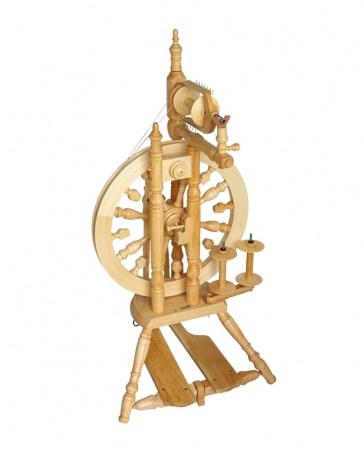 A threading hook and extra two speed whorl are conveniently stored up front for easy access. 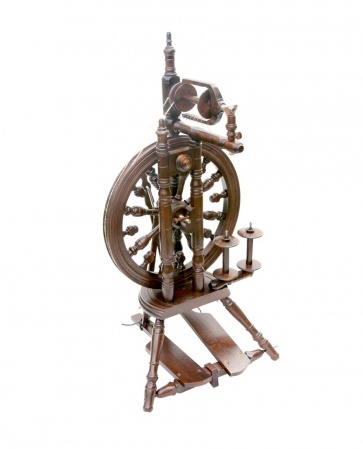 The design is traditional European, with the wheel given additional stub spokes providing extra mass and so makes it easier to maintain a constant treadling speed. The whole wheel is well balanced and sits solid in the sturdy frame, which also adds protection if you plan on moving the wheel around a lot. A Jumbo Flyer conversion kit is available for this wheel.